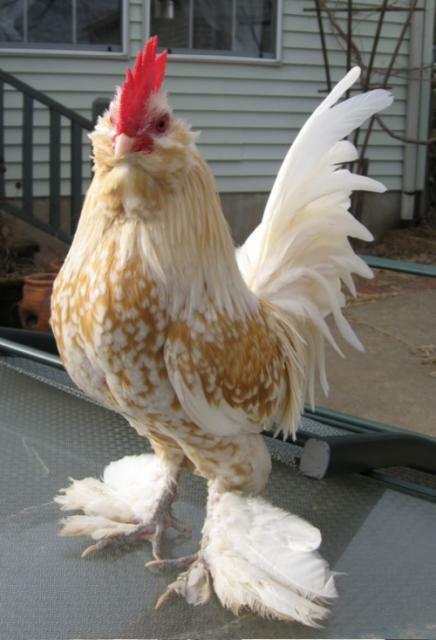 I created this page to assist d'Uccle breeders, since there is so little information about these wonderful birds online. More information will be posted over time. 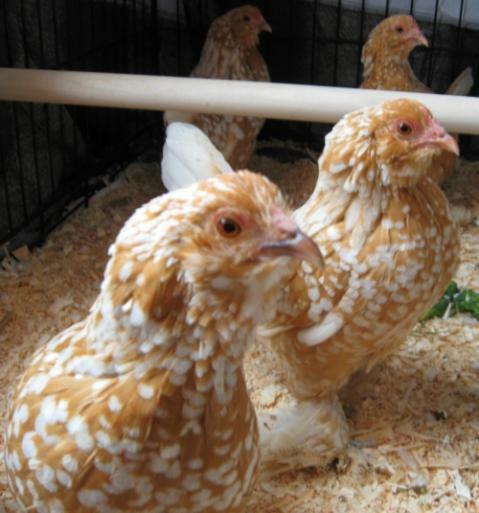 but only as examples so backyard breeders may see what others are hatching. 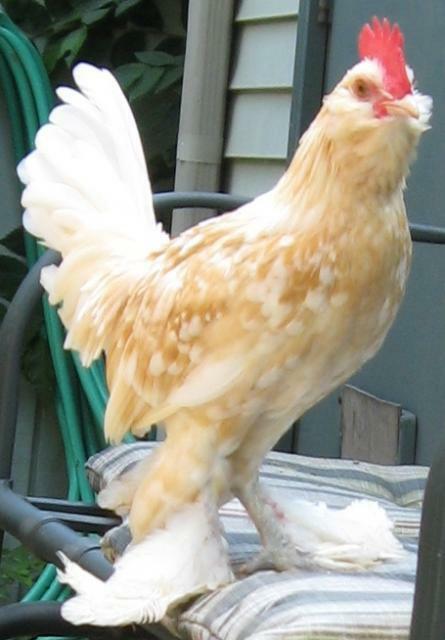 I encourage other d'Uccle folks to create photo galleries of their birds, so that others can see what colors you are raising. 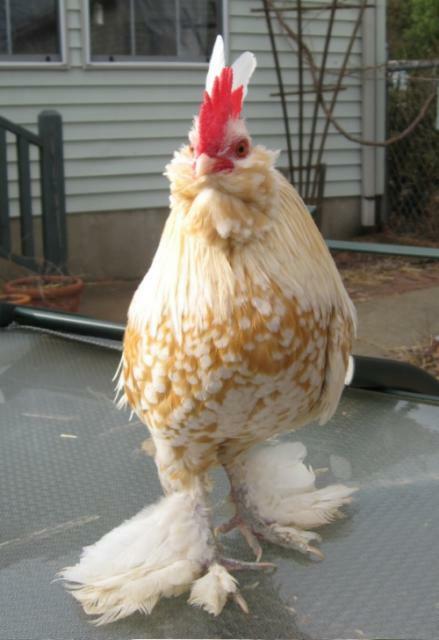 Comments or questions regarding my birds are always welcome. 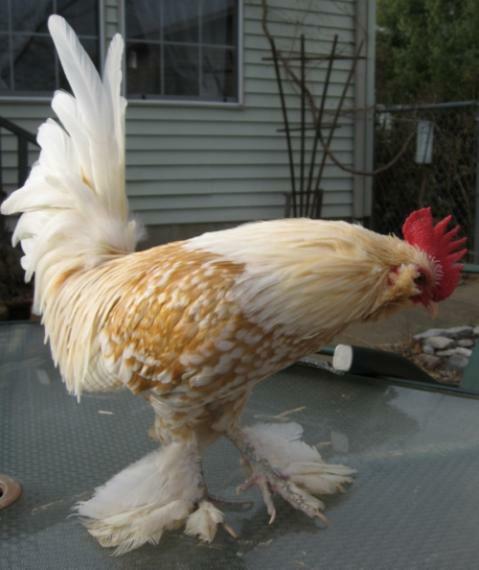 Below are progressive pictures of a 4/2010 young golden neck cockerel. 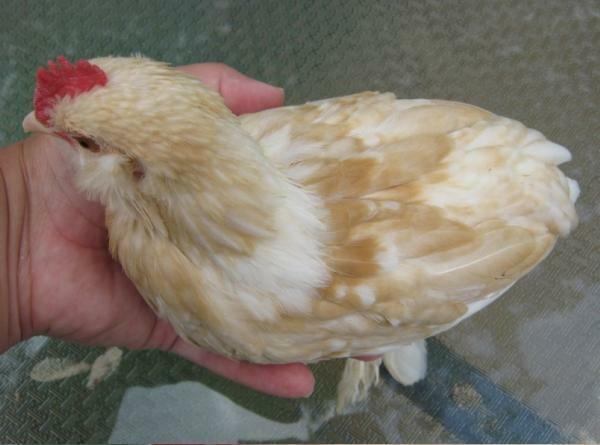 I regret I do not have very early photos, but he hatched pure yellow with no markings and light foot feathering. 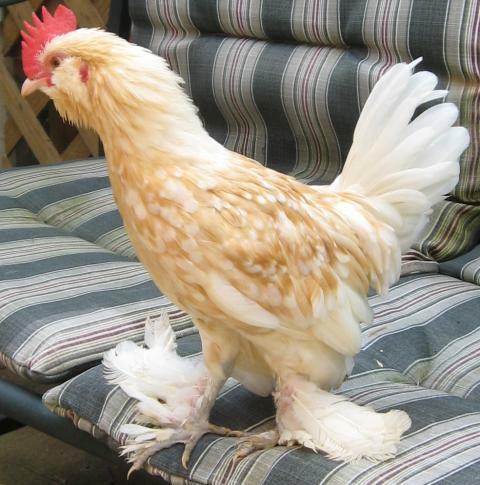 He was acquired locally, but unfortunately I do not know his background or breeding. He is lighter than the color standard (especially on the back), and I am waiting to see whether this changes after his first full molt in 2011. This quad was purchased from a hobbyist out of Atlanta, Georgia in 2008. 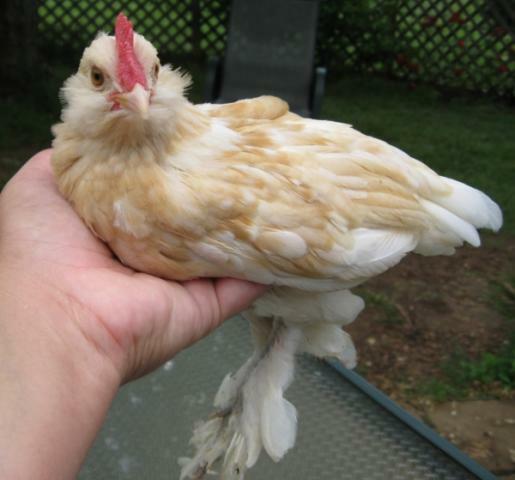 Do you have any photos of a pullet at around 2-3 months?